Carubicin HCl; Carubicin hydrochloride; Karminomycin hydrochloride; NSC 275649. 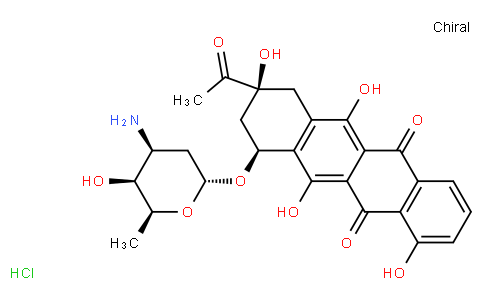 Carubicin HCl is an anthracycline antineoplastic antibiotic isolated from the bacterium Actinomadura carminata. Carubicin intercalates into DNA and interacts with topoisomerase II.